1. Street Card Game, July 2009. The town of Qufu is one of the top sights in Shandong Province. As the hometown of Confucius, arguably the world’s most revered philosopher, thousands of people flock here every day to pay testament to the old sage’s far-reaching influence. And it felt to me like this pocket-sized town, with a population of just sixty thousand, could barely cope with the strain. Still, away from the madness of Qufu’s Confucius attractions, one can still seek out a taste of local life. Work your way into the back streets and you’ll find restaurant owners fanning barbecues and circles of chain-smoking men playing cards. 2. Confucius Temple, July 2009. “Chinese people so crazy for Confucius!” giggled the receptionist at Qufu International Youth Hostel. She wasn’t kidding. The real reason, the only reason one might argue, for coming to Qufu was to check out San Kong, the town’s three hallowed Confucius sights. Spread out across a walled complex of sixteen thousand square meters, Confucius World is so vast it actually takes up one fifth of Qufu’s total land mass! 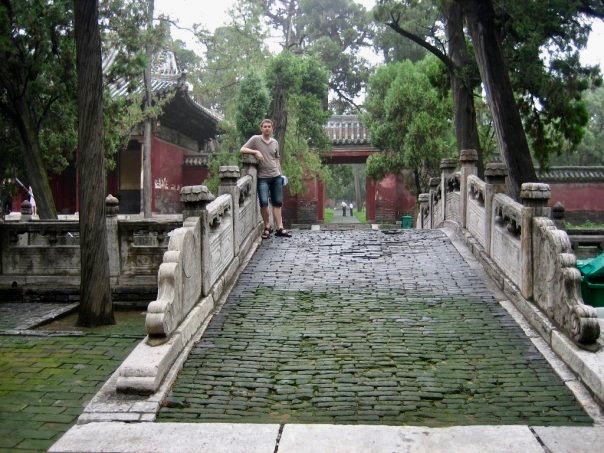 This is the temple area, a wondrous mix of stone courtyards, towering trees, crumbling bridges and a green, algae-infested stream. 3. Confucius Hall, July 2009. I remember the leaflet that came with my ticket telling me that there were 466 buildings and pavilions dotted around San Kong. 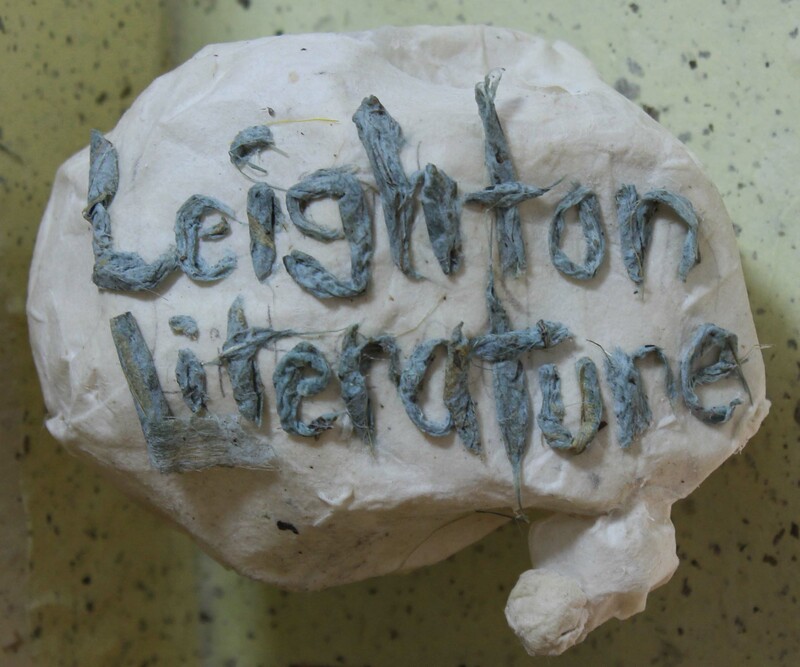 I think I ducked into around a dozen or so, the most memorable of which served as an old man’s art studio. Among the paintings and bric-a-brac sat a bunch of handmade fans. They were simplistic but handsome things and with a sudden rush of blood to the head I decided to purchase one. To my delight, the old man proceeded to decorate it with a handwritten Confucius quote in black ink. 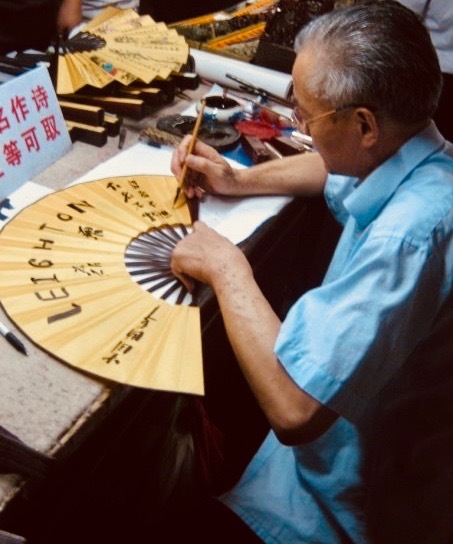 Asking me my name, he then dipped his calligrapher’s pen back into the pot and wrote Leighton across the breadth of the fan in both English and Chinese before applying his official stamp. 4. Confucius Forest, July 2009. The forest section of San Kong features a wonderful nature trail that eventually takes you far away from the maddening crowds. But before escaping, you should at least check out Confucius’ tomb, where the salivating masses push and shove each other around as they jostle for prime photo positions. 5. 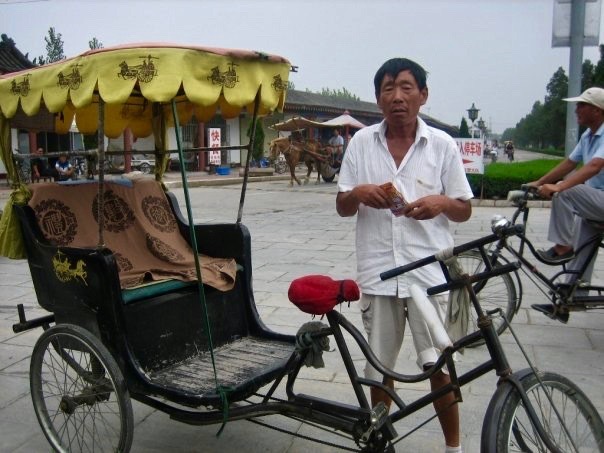 Rickshaw Driver, July 2009. Aside from Confucius mania, there wasn’t much else to do in Qufu. Still, I did hire a rickshaw for a one-hour tour around the town and its outskirts. The driver was really friendly and, God bless him, seemed intent on trying to teach me some Chinese. 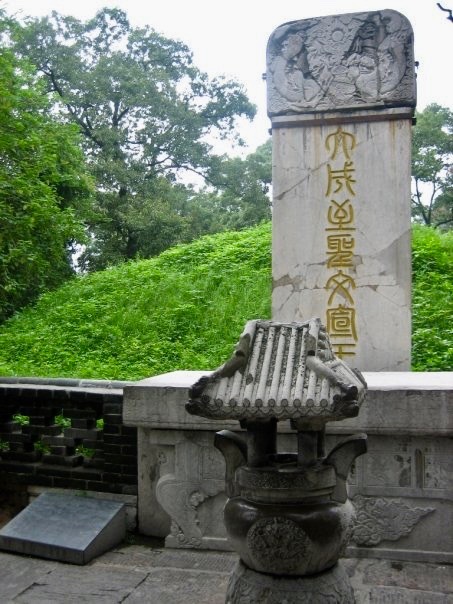 For more on my adventures in Qufu, have a look at my short story Take No Notice. You can also leaf through my other 5s from around Shandong Province. My 5: Cool Spots Around Xiamen, China.